DaleCoin is an ERC20 Token based on the Ethereum Blockchain which will serve as a Payment Token for Goods and Services to Anyone that wishes to accept it. DaleCoin will be used to join the Social group where experienced Tutors will guide the Newbies and Inexperienced in the art of Cryptocurrency Trading in a Simplified and easy to understand way. Also, It will be used to pay for the Computer based Test (CBT) used in accessing their readiness to start Trading Live. The CBT will consist of more than 500 Standard Test Questions (STQ) covering the general aspect of Cryptocurrency Trading and Blockchain Technology. A Cryptocurrency Token that powers Dalemat Ecosystem. This is a community that hopes to Teach and Educate as many as possible on how Cryptocurrency Trading and Investment can be used to improve their Finances. Only 1 million DaleCoin (DALC) will ever Exist and can be Acquired by Anyone who wishes to. 1% will be distributed via Airdrop. 39% will be available at Trading Exchanges. 40% will be reserved and distributed to Token holders based on certain amount held Monthly or Quarterly depending on the demand. 20% will be reserved for Developmental, Marketing and other purposes. Dalecoin (DALC) will be accepted as the Payment method for Weekly Subscription on the online Cryptocurrency Trading Learning Center hosted on Telegram. It will also be used to pay the Fees for pertaking in a Standardized Computer Based Test (CBT). 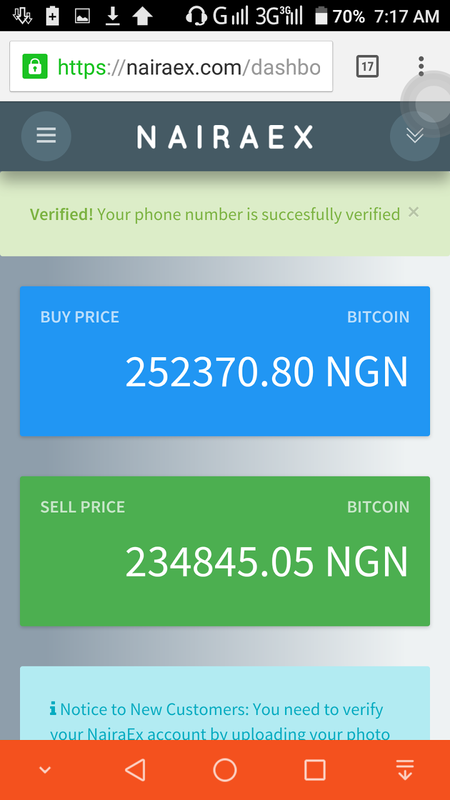 This unique Service primarily aims to target Nigerians and AFRICANS with Little or no knowledge of Cryptocurrency Trading and Investment. It will make the Education readily available to them at an Affordable price payable only with Dalecoins (DALC). Also, we will target the Graduates, Self employed and Unemployed. The Educational service will commence immediately after the Token Airdrop and listing at Trading Exchanges. 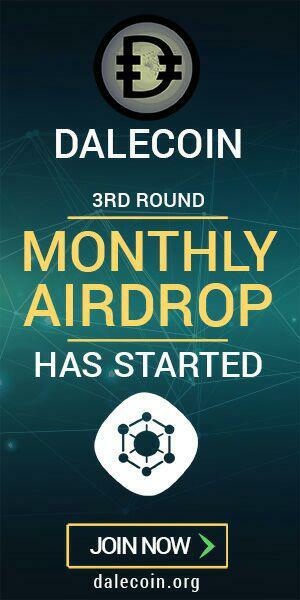 An Escrow Exchange hosted on Telegram that will Facilitate the Exchange of Fiat to Dalecoin and Dalecoin to Fiat will start to function after the listing of Dalecoin at Exchanges. A Swap Exchange will be implemented to enable DALC Token holders to swap for other listed Altcoins or Tokens. This will serve as another cool way to spend your DALC Tokens. This service will be available before the 2nd quarter of 2018. DALC Token holders in Nigeria will be able to top up their mobile phone using Dalecoin. This service will also be available before the 2nd quarter of 2018. Blog owners, Telegram group administrators and Local Exchangers will be contacted to include Dalecoin as a means of payment for the services they offer. This will create more use cases for Dalecoin and thereby increase its value with time. The website shall be up and running immediately after the DALC Token Airdrop. A means by which funds are raised for a new cryptocurrency venture. An Initial Coin Offering (ICO) is used by startups to bypass the rigorous and regulated capital-raising process required by venture capitalists or banks. In an ICO campaign, a percentage of the cryptocurrency is sold to early backers of the project in exchange for legal tender or other cryptocurrencies, but usually for Bitcoin. ICOs are another way you can use in making money. This tokens or coins are usually issued at a discount and by the time it becomes tradeable at exchanges the value as increased significantly. i personally have bought into 6 diffrent icos and still counting. the most recent ICOs that just concluded called HUMANIQUE TOKEN hit the trading exchanges and the value as since more than trippled. I bought 1,450 HMQ with just $50 and now its worth $300 plus. i am still holding it hopefully it could hit $1 per token. There are currently 2 ICOs going on now with strong potentials i just invested in apart from the 6 i have already invessted in. Ensure to read the white paper and road map to see what the coin as to offer before you invest into it. I shall start a series of video tutorials for newbies to be able to help them understand what crypto trading is all about. 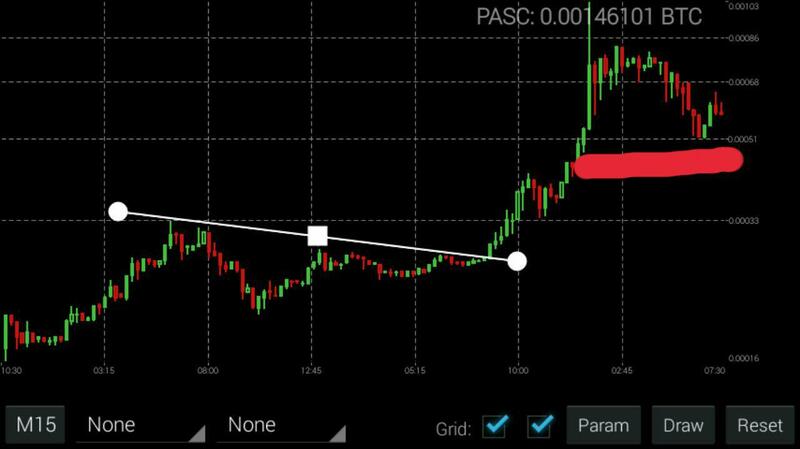 so if u would like to follow try creating a trading account with poloniex. Bitcoin is down 0.05% at$1,058.20 with a volume of 19k - 20M on the USD pairs. Litecoin is up 0.53% against the dollar for the day at $3.75 and down 0.50% to 0.003571 on volumes of 360 BTC. Ether is down 0.97% against Bitcoin at 0.01230 per Ether and up 0.94% against the dollar on $12.85 with average volume 6.1k BTC on the ETH/BTC pair. 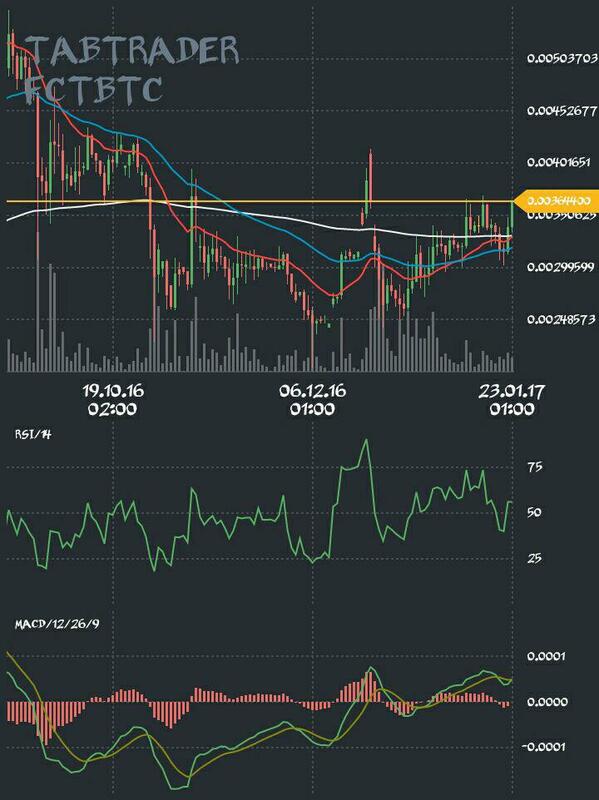 Zcash is up 0.44% for the day to 0.02936 BTC per ZEC and up 0.52% against the dollar to $31.20 with average volume of 340 BTC for the 24 hour period. Monero is up 8.65% against the dollar at $12.14 and down 9.18% against Bitcoin at 0.01138 on volumes of 4.3k BTC. Ether Classic is down 1.04% to Ƀ 0.001145 with volumes of 240 BTC and flat against the dollar at $1.22. Dash is up 0.10% at 0.02075 with 3.6k BTC volume and up 0.51% against the dollar at $21.58. Waves is down 4.69% 0.0002193 on 70 BTC volume. Stratis is up 2.05% to 0.00007756 on 46 BTC volume. 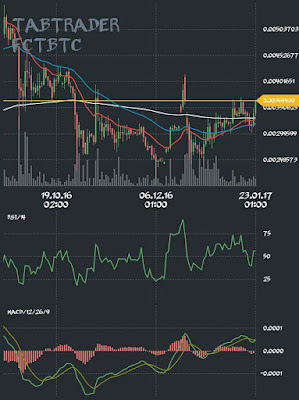 Lisk has 71 BTC volume for the day. The price is down 4.46% at 0.0001284. While others are trading with their hearts in their mouth..
Our Research Team(Dalemat crypto trading group) has been doing some digging . So, to start what is factom? We create products that transform the way organizations secure and share their data. Our products safeguard the most critical government, commercial, and non-profit systems. Factom stores the world’s data on a decentralized system. Using blockchain technology for smart contracts, digital assets and database integrity. You should definitely click the 👆 links. But here's a quick summary. 1. Factom is a system for securing millions of real-time records in the blockchain with a single hash. 2. It launched Oct 2015. The chart shows the price approaching the ema200 line from the bottom. This may indicate a buying trend. I think it is a good coin to hold short-mid term. With the range analysis used for the NXT i discovered there could be an opportunity based on the charts and what as happened in the past 3 months. from the charts the highest price within the period was 5698 satoshis per NXT while the current value falls with 630 to 700 satoshis. this is more than 700% fall in price. if you ask me. so looking at the chart and with the information it provides. buying into NXT could be a good investment. Bag holding for a week or a month will be a good strategy. WHAT WILL BE THE PRICE OF BITCOIN IN 3 YEARS TIME. No one for sure can pinpoint what the price would be. however, if the present trends is anything to go by i would say anything close to or more than $5000. many factors will have to come to play in order for this price to be achieved. 2. banks all over the world looking into this technology. over the past years we have seen fluctuations in the price of bitcoin but tends upward. this is a sign of what to expect. if you have not joined this train of bitcoin enthusiast. i strongly advice you consider it. this is the future of money. Below are 3 coins i believe may increase in value this year if one enters at its present value and hold for a while. This indication is based on a 1 to 3 months range analysis and is in no way guaranteed to bring out the result you desire. However it does provide information on whether to make a buy decision. Hello everybody and compliments of the season. 2017 holds great promises as far as crypto currency is concerned. It is very evident because of the sharp rise in price of bitcoin reaching an all year high of about $970 or so. Some said it touched $1000 mark in the Chinese markets. This is no doubt a great sign of what to expect this coming 2017. I am of the opinion that we shall also witness increases in other altcoins as well and new development in the crypto currency sphere. Many people are already jumping into the great technology that as revolutionize finance and the way we use it. If you have not joined the train, I strongly advice you to join now. 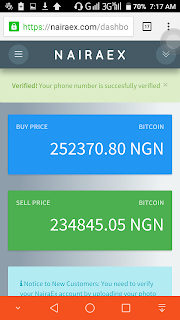 15 months ago the price of 1 bitcoin was N52,000. As at today the price as increased by 420%. What is the current price ? What is the dollar value given the exchange rate to be N450 naira. you can post your answers in the comments. Crypto currency trading requires your time and constant monitoring of price movements. Maximizing profits is a function of ones ability to monitor the price of a coin at specific and regular intervals. However, not everyone who is interested in crypto trading has the whole time in the world to be monitoring a trade always. People like the busy executives, students, Youth corpers may not have the time to monitor the price movement of a coin frequently. So is there a way out for these set of people? Yes. be among the 1st ten coins in terms of volume. 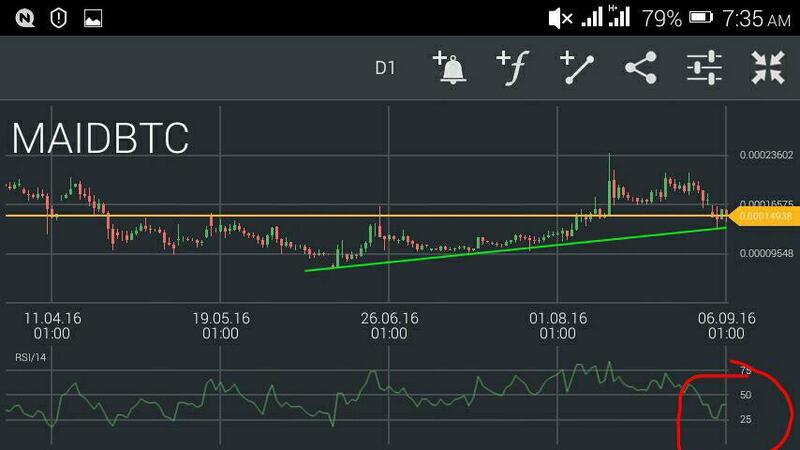 Have a strong buy support say from 100btc and above. Must have a wallet outside the exchange you intend using. The target is to achieve 5% to 50% or more within a week of trade. If the above conditions are met then we can begin thus. I will be using 1 bitcoin as a case study. More bitcoins will be preferable if you can afford it. Start by splitting the bitcoin in 5 fractions of 0.2 btc each. Determine the interval with which you choose to monitor your trade. I recommend every 4 hrs in a day within the 1 week. (42 times in a week) and you must be disciplined about the interval you eventually choose. At this point you select the coin you wish to invest in and then open a trade with 0.2 btc and note the entry price. place a sell order of 10% premium to your entry price. 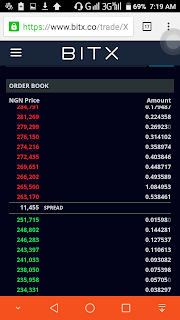 (eg if your entry is say 0.0025btc then a 10% sell order will be 0.00275 btc). Check your trade after 4 hrs. just remember that your target range is 5% - 50% hence be realistic when placing your sell order based on the price actions and volatility you have noticed. If after 4 hrs your sell order is filled, then you start the process again. However, if it falls below the 10% sell order mark but it is within your target range say 5% - 9% then I recommend you close the trade and start the process again. 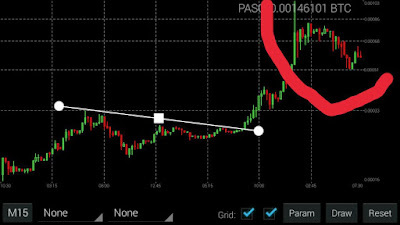 If after 4 hrs the price of the coin falls below your entry price by 5% or more. Then buy back with another 0.2btc. At this point you have spent 0.4 btc, calculate your average buy price and set a 10% sell order and wait another 4 hrs to check. Assuming there is constant 5% or more fall in price and you have exhausted your reserve bitcoin. As in you have used up all the 1 btc you split. Then it is recommended you edge your loss by making use of the stop limit. You can set between 1% to 10% stop limit. This is the % loss you are willing to take in case the coin decides to dip further. 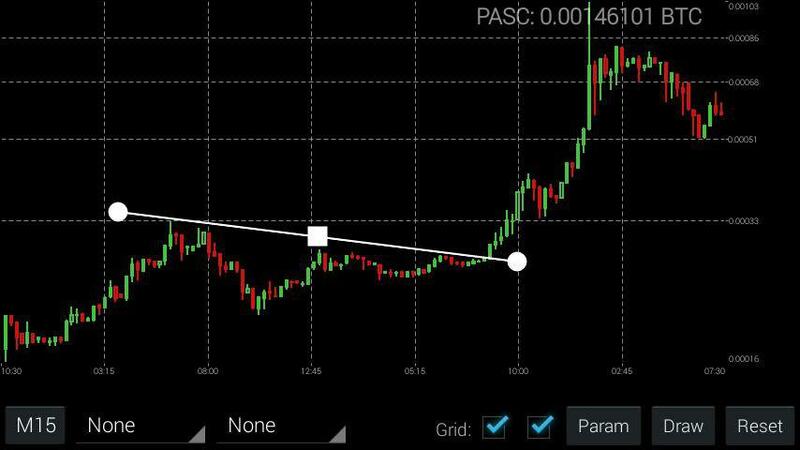 From experience, utility coins usually enjoys favorable volatility, that is why I recommend such coins if you decide to use this strategy. 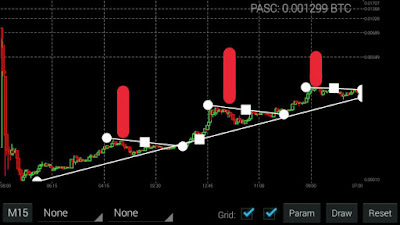 This way you are sure of always coming out with a profit and in the worst case scenario a break even within a short period of time. And MaidSafe's funding on BnkToTheFuture coming up on 12th September which would run for 30 days. crypto currency is an amazing technology that is revolutionizing the financial system. the technology has a lot of potentials. Below is a checklist of why i think you should invest in crypto currency. 1. It can be used to send money to anyone in the world with even visting a bank, with little or no cost at all. 2. Trading crypto currency will make you become self employed. 3. It is an investment asset because its value tend to increase over time. 4. you can purchase goods and services with it. 5. it as real case use. it solves real life problem. eg auditing, storage, voting etc. Analyzing a chart dosent require looking at the fancy components that constitutes the chart especially if you are a newbie. 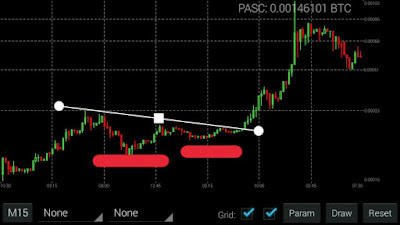 What you are to look as a basic crypto currency trader is simply the RANGE within a particular period of time. Its a statistical tool used in finding the difference between the the highest value and the lowest value. Lets say within 12 hrs the price of etc was hovering between 380k sats and 450k sats.. This is the price within 12hrs right. 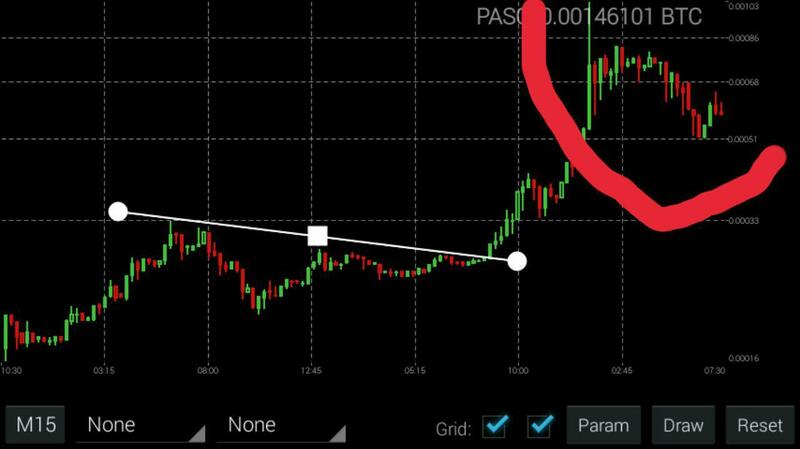 Now lets say you enter the market at the 15th hour and you met the price to be at say 395k sats. As an experienced trader what you are to do first is to look at past event from the chart. When you look at d chart then you will notice that the price attained some certain height based on that information you can enter the market. Because there is every likelihood that the price might still rise to that 450k sats or more again within the remaining 24hrs. The 4 days chart above shows the price volatility of ETC with 4 days. When analyzing this chart simply locate the higest point which is about 610,000 sats and the lowest point which is about 350,000 sats. With this information, you can make an informed decision on whether to buy into this coin or not. Attacks and exploits have become very rampart these days as you hear of theft of coins and the likes. For this reason many exchanges have put in place strict security measures to prevent hackers. Hackers on the other hand as seen hacking as a job and a very lucrative one at that. they are not only attacking exchanges alone but also email addresses associated with such exchanges. The following coins have been added to the coinomi wallet. Ethereum ,syscoin, solarcoin and a few others. The wallet is a multi currency wallet and holds more than 20 alternative currrncies. Check their website or playstore to download the updated version. Crypto currency trading can be a very profitable and lucrative venture. However in order to maximize profit, there is a need for discipline trading plan. 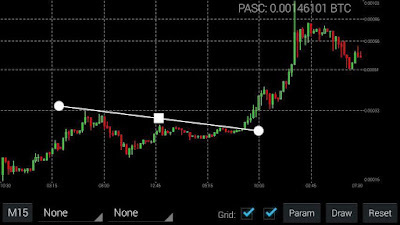 I would like to present to you a strict but very effective trading plan if adhered to can fetch you a profit ranging from 5% to 60% monthly all things been equal. A reputable trading exchange with advanced trading features. Identify a healthy and very volatile coin for the day. Patience, discipline and constant monitoring. Target: To make between 1% to 5% or more profit on a daily bases. The required steps to achieve maximum profit. Lets assume a very bullish coin as been identified at say 12,000 satoshis. Set a 1% or less buy stop limit. If filled, it means your entry point will be 12,120 satoshis. Immediately go ahead and set a 2% sell stop limit. Reason been that if the price falls above 2%, you only take that loss and have an opportunity to buy back cheaper. 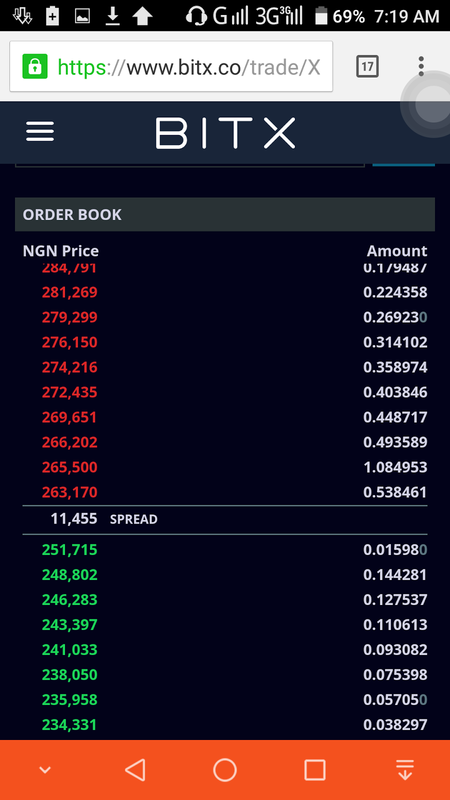 E.g let say it falls by 5% and you buy back at that point you have gained 3% more in the coins. Monitor the market until you have gotten a clear cut 1% to 5% profit. Then exit the market and close for the day. Repeat the process for the next 29 days. On the 30th day, take stock of your profit to ascertain how much profit you really made at the end of the month. Assuming an average profit of 3% was made on a daily bases for 30days that will be a whooping 90% return on investment. During the ico of the dao 1 ether gives you about 100dao. Now the value of the dao has fallen because of the supposed hack or exploit. This has necesitated the hard fork whose aim is to return investors fund at the rate at which the Bought it. The opportunity now is to buy as much dao as you can buy and when the hard fork is implemented you will be getting more ethers. If i bought 100 ethers at at 1.8million satoshis, with the hope of making a profit. But i decided to take a 5% loss using the sell stop limit. 3 hrs later, i checked the market and discovered my stop limit has been filled and the price of ether is now 0.014 btc. I know decide to set a 10% buy stop limt. I check few hours later and the price of ether is at 0.0175. Q1. How many bitcoin did i start with initially? Q2. How many bitcoins did i have after the sell stop limit had been filled? Q3 At what price did i enter the market again? Q4 How many ethers did i have after opening the new position? Q5 If i decide to sell at the current price. How many bitcoin will i now have? Send your bitcoins to the exchange after purchase. Look for healthy coins to buy and hold. 5. When you identify such chart , buy and come back a week or a month later to see if the price has increase. then sell. 6. repeat again and again for profit.